I discovered a new instrument today ! 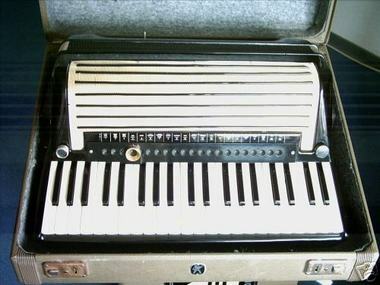 This is a Hohner Electronium which at first glance looks like a normal electric accordion. However the electronics are actually a valve driven monophonic (meaning only one note can play at time) instrument. 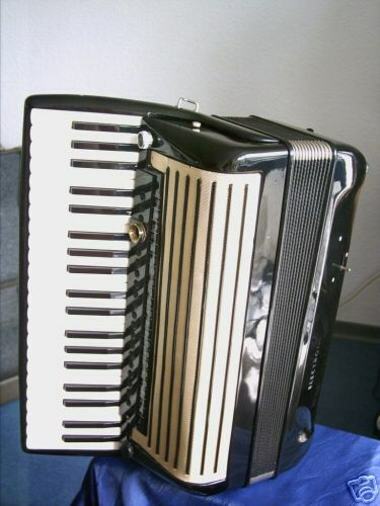 This makes it close to being the accordion equivalent of a Clavioline. 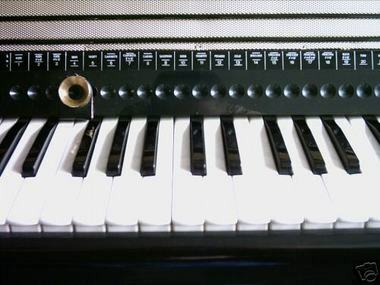 Interestingly it was designed by René Seybold who also made player accordions. This particular specimen is currently on Ebay in Germany however from the approximate translation it seems that the amplifier is missing. Hello, I have as soon as acquired a Hohner Electronium to an auction, my model is more recent than what you have put on the post. Unfortunately it is without amplifier and cables. I have written to the Hohner factory and I hope to find them. If you know where to address in order to try lacking pieces to me you of they are pleasing. Excuse for my English but use a translator automatic rifle. Unfortunately I don't know where to find the parts for these instruments. Best of luck in getting it working again. Very interesting blog.Thank you for putting the address of my blog in yours. I am looking to buy a Hohner Electronium. If you have one for sale or know of any that might be for sale, please contact me at Screenery[AT]gmail[DOT]com.